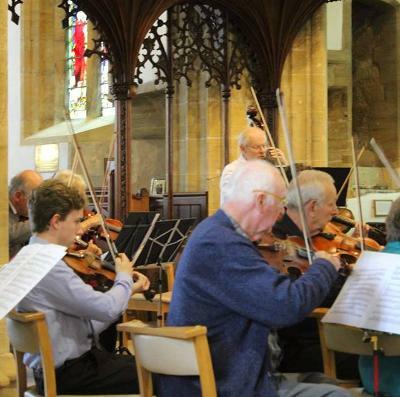 Allington Strings is a friendly community orchestra in the vibrant town of Bridport. 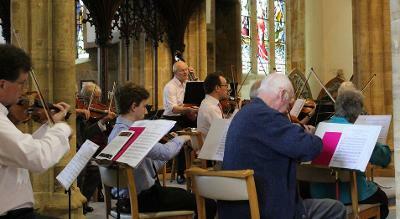 Rehearsals are held on Mondays every fortnight in the Christian Fellowship Hall in Bridport from 7.30 - 9.30. We give at least two concerts a year. A friendly orchestra that always welcomes new members; there are no auditions. We play a wide range of repertoire, enjoying new challenges to expand and improve our playing as well as tackling more familiar works. Our leaders are all experienced players and teachers, happy to offer a bit of technical advice and support when requested.